Hi everyone. 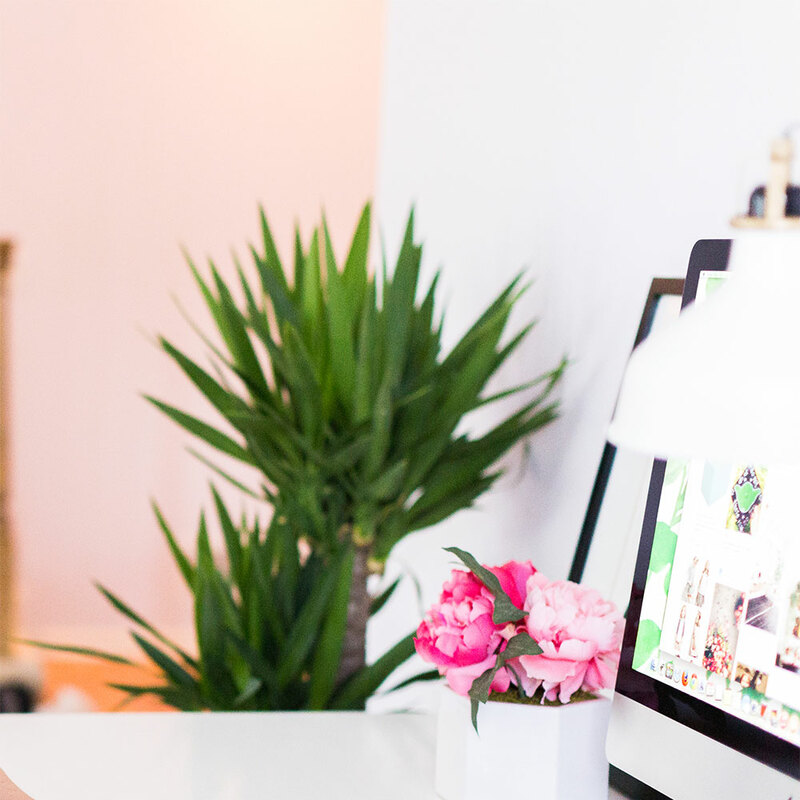 Today I’m going to talk about my blogging essentials aka everything I need for my blog. I take blogging seriously and I don’t mind spending money on it to make it like how I envision it to be. These are the things that I need for my blog and I hope this post will be useful for you because I like sharing things I know that might help other people out there. Of course, you need a computer to blog. I do not like using smartphones or tablets to blog because I can do so much more with a computer that smartphones and tablets can’t do. My trusty ol’ MacBook Pro that I got 4 years ago is my best friend and I don’t know what I’m going to do without it. Plus, everything looks a lot smoother on MacBook. I especially love how my blog looks like on this screen and this computer is definitely one of my most worth it purchases ever. The browser I’m currently using is Opera. I personally think Opera is better than Safari and Google Chrome because you have your own adblocker without having to install it using third party source and you can watch YouTube or any videos on Opera while on other tab. 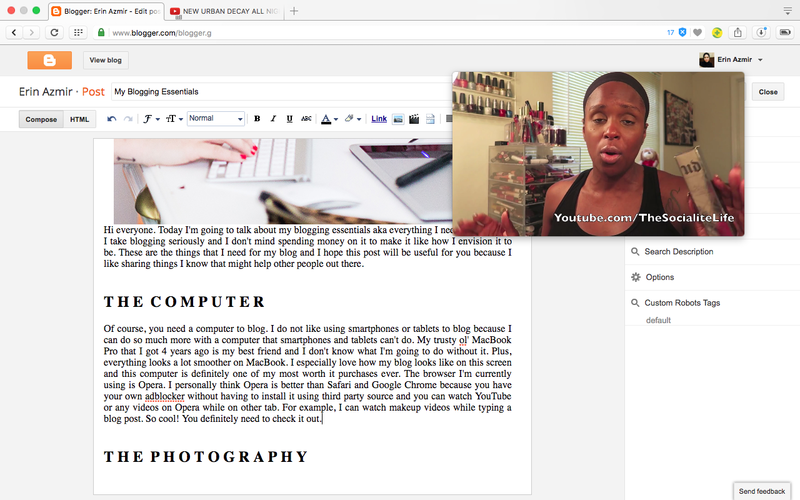 For example, I can watch makeup videos while typing a blog post. So cool! You definitely need to check it out. I’m using the Canon 60D for my blog photos. You definitely do not need a DSLR and you can totally use your phone to take good pictures but having a DSLR is always a plus. However, I’m still struggling with my blog photos because I’m not really into photography but I do want to take good pictures for my blog. To me, the most important thing in taking your blog photos is the lighting. Natural lighting is the best for a natural and bright pictures. Sometimes I do take my pictures at night and I didn’t like the result. You can see the differences here for the natural lighting and here for at nighttime. Check out my how I edit photos post for some tips. For posts that I don’t have pictures for, I use stock photos. Currently, I’m using my mom’s white placemat and my rings for background and decoration for my photos. To make my life extra easier, I also use a tripod when taking pictures for my makeup reviews. I love bullet journaling so I use my bullet journal for my blogging stuff too. I use it to take notes, plan my future blog posts, and also to write down my monthly favourites so I don’t forget them at the end of the month. If you’re serious about blogging, then you definitely need a notebook for your blog.